Alright, so it may be tight on space and the cinder-block walls are a little less then exciting but don’t let the sterility fool you- your dorm room is your canvas. Trust us, it will become your escape from the chaos of school and for many of you, your very first home-away-from-home. So, be bold, get creative and go for it! After all girls, this isn’t high school anymore, anything goes! It’s best to get the necessities out of the way first: mini-fridges, televisions, microwaves, and printers are a few of the items to be discussed with your roommate. Once you know who’s bringing what, the real fun can begin. Try to choose a color scheme that suits both your tastes. It doesn’t have to match perfectly but consider sticking within the same color family just to go easy on the eyes. Here’s what we’re loving right now: cool colors, sharp patterns and a touch of whimsy. Go crazy with pattern and color! Since paint isn’t allowed, transform your space by adding colorful bedding and accessories. Keep the space grounded with black and white prints and tie it all together with one large, center rug. 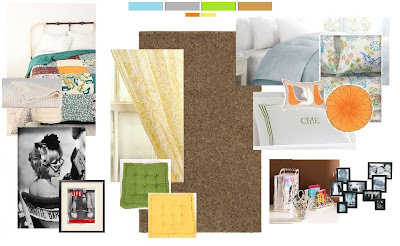 Add flare and warmth with family photos, collages, and textured elements such as quilted bedspreads and knit blankets. And most importantly, make it inviting, make it cozy, make it yours! 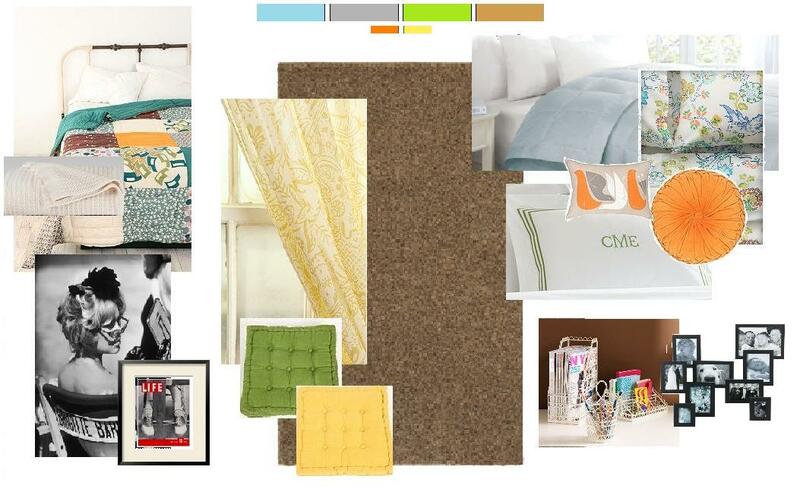 We’d love to see what you’ve picked out for your new space! Share your links or photos below!